*Note: this is a district-only feature. A test coordinator can deliver benchmark assessments to students on behalf of a teacher. In order to do this, you will need to find the test ID, and each student will need to know their student ID number. 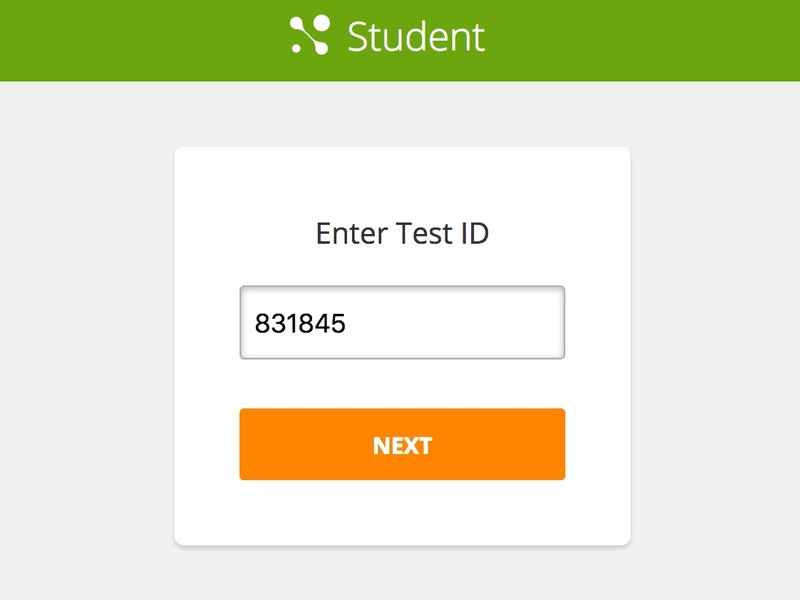 First, give students the test ID number and have them enter it in MasteryConnect's Student portal. 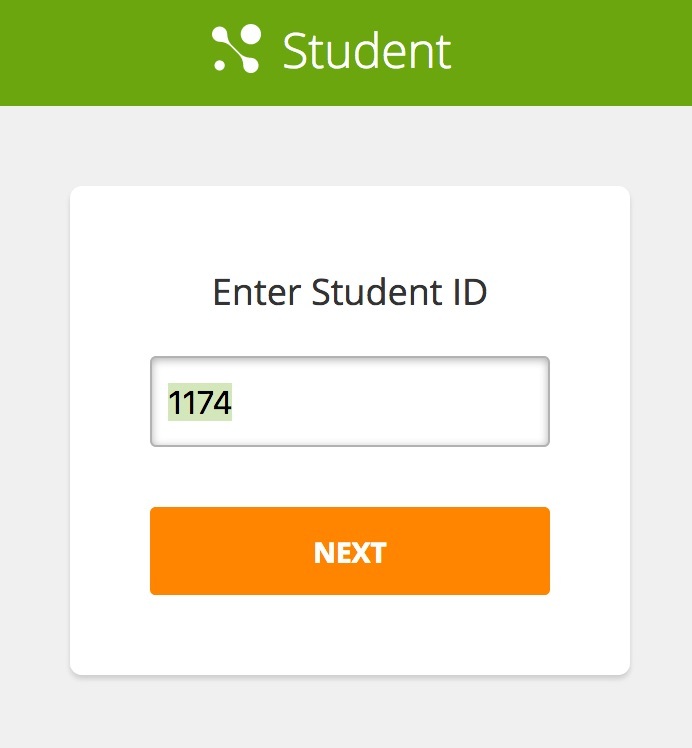 Next, each student must enter their Student ID number. They will now be able to take the benchmark assessment on their device. 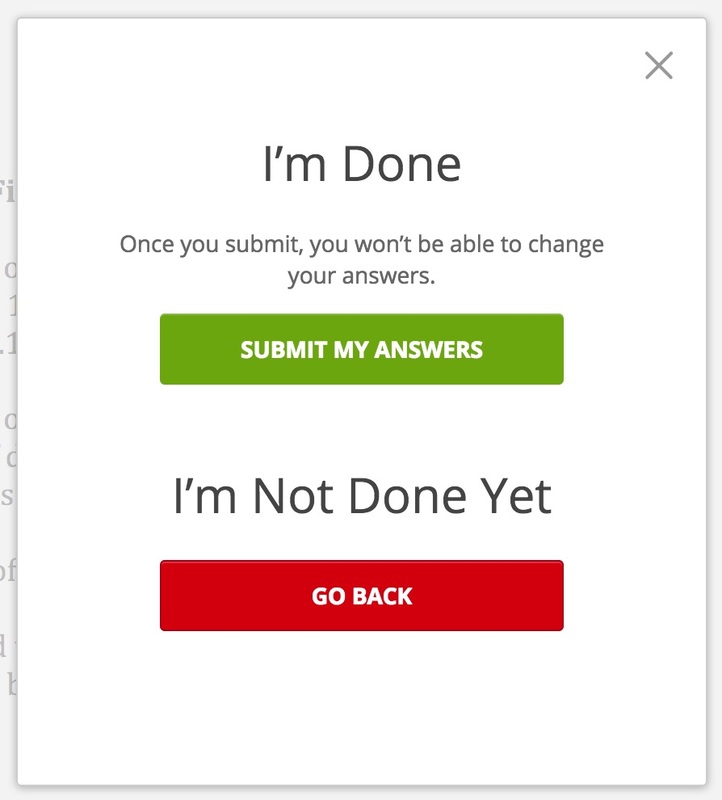 Be sure to instruct the students to click the Next button after they answer each question, and not to click the orange Finished button until they have completed the entire benchmark assessment. After the test is submitted the student cannot reopen it; if they submit it before they are finished, you will need to contact your district administrator for assistance. When the student is finished, they will be taken to a confirmation screen where they can click on Submit My Answers and immediately see their results, if the district allows that feature. Their scores will automatically be recorded in the tracker; nothing further is required. Note: Any rubric questions will need to be manually graded by the teacher in the tracker. What happens if the teacher changes the test ID while the test is in progress? Any tests that are in progress using the old test ID can not be submitted and students will lose their scores. Have them write down their answers, and then contact your district administrator or Mastery Connect support. How do I contact MasteryConnect Support if a student submits their test before they are finished? You can call the Benchmark Hotline at 855-77-BENCH (855-772-3624). You will need the test ID and student ID.